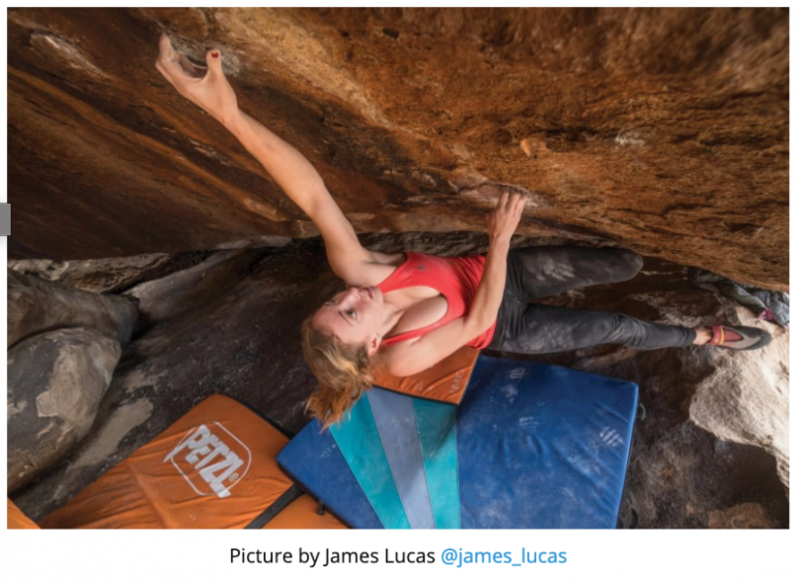 In January 2018, Michaela Kiersch made the first female ascent of the fiendishly thin Necessary Evil (5.14c) in the Virgin River Gorge, Arizona. 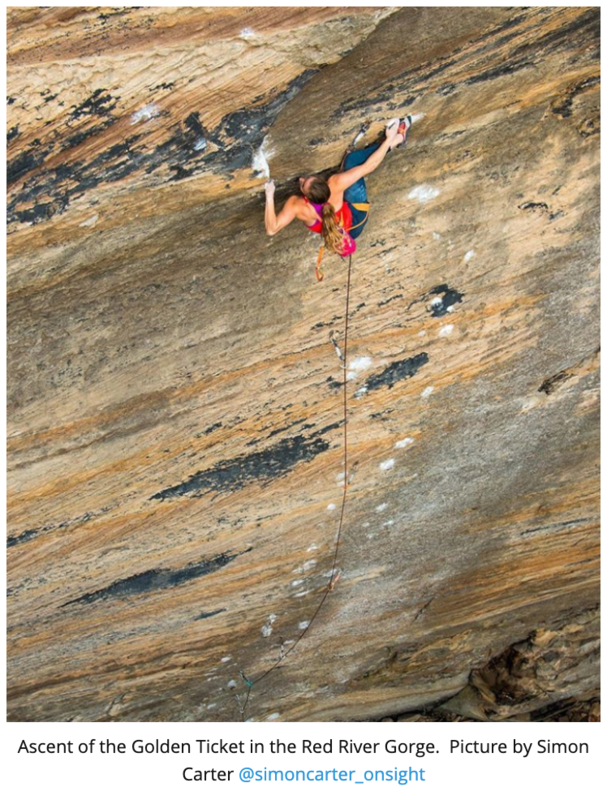 Q: Is it true that you used to drive 14 hours round-trip to the Red River Gorge each weekend to climb? A: Yes, when I lived in Chicago a group of climbers always drove 14 hours round trip to climb in Kentucky. The climbing there is some of the best in the world, and after a while, you get used to the drive. I liked being able to escape to the forests on weekends! A: I am 24 years old, I was born and grew up in Chicago, but currently, I live in Salt Lake City. I’ve been climbing for 15 years and have mainly focused on competitions and outdoor sport climbing. Q: How has it been having more freedom for climbing? A: It has been incredible to be able to focus only on my climbing for the last few months. I feel like I can really dedicate more time to my training and traveling. Q: Do you climb outside more than indoor? A: I think I keep it pretty balanced between climbing inside and outside. I still love competing and I am currently training for competitions but I would never give up my outdoor projects. Q: How did you get started coaching? A: I started coaching when I was around 15 years old at the local climbing gym. I have always loved working with kids and teaching them to climb seemed like a logical step. I think the most important thing a coach can do is to help to foster a love for the sport and teach the children how to be responsible and respectful members of the climbing community. Q: What is your biggest climbing dream? 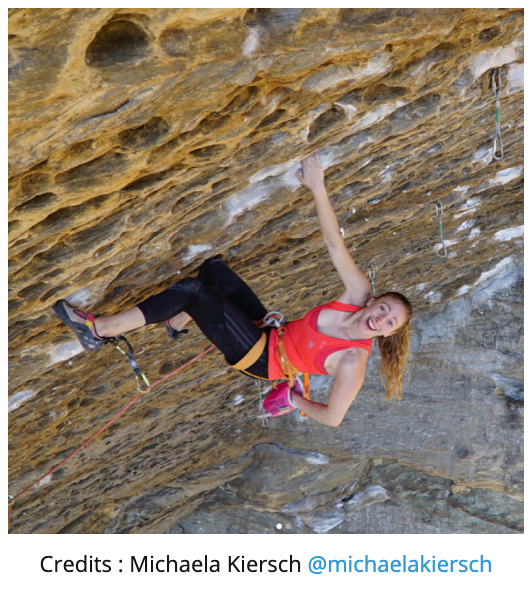 A: To love the sport for my entire life and always find fulfillment and happiness while climbing. Q: What’s your current challenge? A: Getting accepted into graduate school and getting stronger! Q: Can you tell us 5 things that our readers don’t know about you? A: I hate peanut butter, my favorite color is purple, I have a twin sister, I am afraid of spiders, and my pinky fingers are really short! Watch Michaela’s incredible ascent of the Necessary Evil (5.14c) in the Virgin River Gorge, Arizona!